Brighton & Hove Friends of the Earth (BHFOE) is paying its respects to one of the best Environment Ministers the country has had. 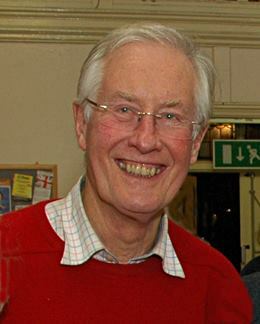 Earlier today it was announced that Michael Meacher MP died after a short illness. A Labour MP, he was a shadow Environment Minister in 1997. He came down to see for himself the damage done to the South Downs when a local farmer near Lewes ploughed up a Site of Special Scientific Interest (SSSI) at Offham Down just weeks before the General Election. After the election which saw Labour sweep to power, he became the Environment Minister and under his watch oversaw new legislation to open up access to the countryside and give better legal protection to nationally important wildlife sites. He also kick-started the designation process of the South Downs National Park, using his influence to get the Countryside Agency to examine the case for a National Park. He also secured the long term protection of both Offham Down and Offham Marshes SSSIs which had been threatened by farming. “Michael Meacher will be sorely missed. He was a huge advocate for the environment and responsible for many good acts as Environment Minister. He was instrumental in kick-starting the designation process for the South Downs National Park. Without him we would have got nowhere.